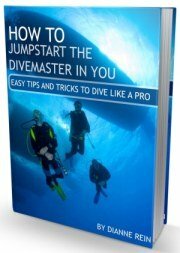 If you are looking to go diving, I would recommend scuba diving in Belize. 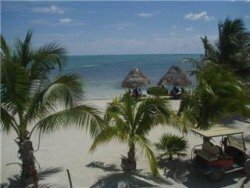 Caye Caulker is a great choice if you are looking for a laid back island, good diving and less crowds than its neighboring island and diving mecca, Ambergris Caye. From Caye Caulker you can dive the same sights as those staying on Ambergris since the 2 islands are only 11 miles apart. Caye Caulker is actually 2 islands, separated by the "split" or the "cut" which is a small channel of water. The southern part is the "developed" portion of the caye and most of the northern part is now a marine reserve. The island was actually split in 2 by Hurricane Hattie in 1961. Caye Caulker (this will now refer to the southern portion) is a small island, only about 4 miles long and less than half a mile wide at its widest point. So it is an easy island to get around. You can either walk, rent a bike or rent a golf cart. There are beaches around the island, but this isn't the place to come if you want to hang out on a beautiful beach all day. The beaches are fairly narrow and not all that great, IMHO, and if the truth be told. There are much nice beaches in the Caribbean if that is what you are looking for. Some of my suggestions for great beaches in the Caribbean would be Aruba, Cayman Islands, Turks & Caicos or the Bahamas (see index on left for our writeups on these islands), to name just a few. OK, back to Belize and Caye Caulker. 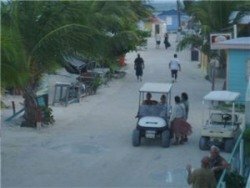 There are only about 1,200 or so full time residents on Caye Caulker. The village itself has 3 main streets - Front, Middle and Back. They are parallel and Front Street is the one furthest east (or closest to the reef). Pretty easy. The barrier reef itself is only a mile or so off shore. Belize itself is situated on the Caribbean coast. It is bordered by Mexico in the north, Guatemala to the south and west and the Caribbean on the east. You can see where Belize is located on our page of Belize maps. The island of Caye Caulker is located about 20 miles northeast of Belize City and 11 miles south of that mecca of scuba diving, Ambergris Caye. Take a look at our Caye Caulker maps to see the island. There is a small airstrip on the island with several flights a day from Belize City and Ambergris. Another popular way to get to the island is via water taxi from Belize City (or Ambergris). This is how we went. The ride from Belize City is about 45 minutes and is a fun way to get the island. 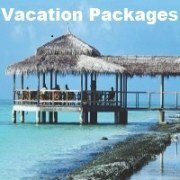 There are a range of hotels to choose from on Caye Caulker. Although you won't be finding any huge mega resorts here. Caye Caulker is a nice, laid-back island where it's all about relaxation (and diving!). We really enjoyed our time on the island. When we went there (which admittedly was quite awhile ago now, things very well could have changed by now but this was our experience), we were backpacking around Central America (that's a whole 'nother story). Thus we didn't know what our schedule would be and arrived with no reservations during the high season. We arrived by boat from Belize City and since it was pretty late we started looking for some Caye Caulker lodging right away. Since the first few places we asked at were full, we took the first thing available. We were getting tired and didn't want to spend the night on the beach. That first hotel was just off the beach and called Popeye's Beach Resort. It was, in our opinion, overpriced at $75 per night. While it had air conditioning, the room was pretty dark and depressing and we thought we could do better. The next day we started asking around. Most hotels were full. We ended up talking to the owner of Treetops Guesthouse. (which looked like a very nice place; they were full but we will try them next time) and she called around and got us an apartment at Caye Caulker Apartments for $50 per night. It was a few blocks away from the water but they provided bikes so it was no big deal. And it was fun riding around the island - small as it is. 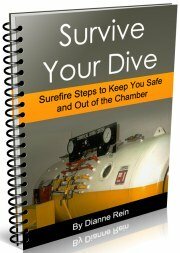 Unfortunately, after we came back from our day of diving, the room was an inferno. There was no a/c and no breeze. Sleeping was impossible. Ended up taking a shower in the middle of the night to cool off. Ok, onto another hotel. Amazing - 3 hotels on one island. This had never happened to us before. But what are you going to do? Our third and last (finally!) Caye Caulker hotel was Rainbow Hotel. which is in a great spot facing the water. It was $52 per night. While it was not luxurious accommodations by any means, it had a/c and the price was right. We ended up spending the rest of our time there. And very happily if I may say so. So lesson learned: if you arrive in the high season without reservations, don't expect to get your first choice of hotels. You will probably be able to find something but you will have to be flexible. If you have definite dates you are going to be on the island, especially during high season, I would recommend making a reservation. 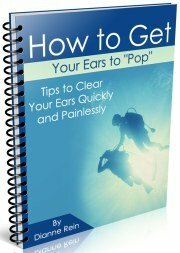 It will save you some traipsing around. I know we will be making reservations the next time we go. Like the rest of Central America, Caye Caulker has a tropical climate. Which basically means it can get hot and humid, especially in the summer months. Belize and Caye Caulker have a rainy season from June to November with the most rainfall occurring in the September-November timeframe. The island does get hit by hurricanes during the hurrican season (June-November also). Water temperatures around Caye Caulker are actually fairly constant. In the winter months (December to February), the water is around 75-80 F. It warms up a bit starting around April-May with temperatures from May-October in the 80-85F degree range. So if you go to dive Belize, you should be pretty comfortable underwater. My husband and I don't tend to get cold easily so many times we will just wear a skin when we dive Belize. If you tend to get cold 2mm shorties or 3mm full scuba diving wetsuits should be more than sufficient depending on your comfort level. Caye Caulker Belize sits right off the second largest barrier reef in the world (the reef runs for 185 miles). The reef is only about a mile offshore from the island so boat rides to Caye Caulker dive sites can be short. However, there are many places to dive off of Belize. To the east of the barrier reef, there are 3 atolls which are popular spots for diving. These are the Lighthouse Reef, Glovers Reef and Turneffe Reef. 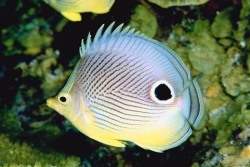 If you go just out to the reef, some dive sights are less than a 10 minute ride away. If you go over toward the sites closer to Ambergris Caye, including the Hol Chan Marine Reserve, the ride is closer to half an hour. 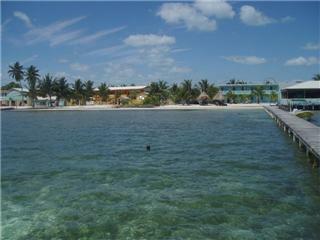 Dive shops on Caye Caulker also offer scuba diving trips out to Turneffe Reef and the Blue Hole. These are much further out (and, accordingly, cost more) and entail a longer ride. Our ride to Turneffe Reef took about an hour over some rough seas. A bumpy, rainy, uncomfortable ride. If you go, hopefully you will have better weather. 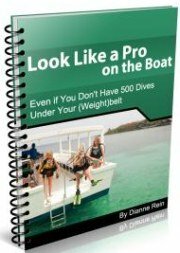 Read all about Caye Caulker dive sites here. 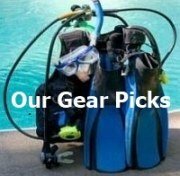 Well, I hate to say it, but we have been scuba diving Belize Caye Caulker and scuba diving in Ambergris Caye and have not yet dove the Blue Hole. We signed up for it 3 times while we were in Caye Caulker but it kept getting cancelled because not enough people were signed up to go. 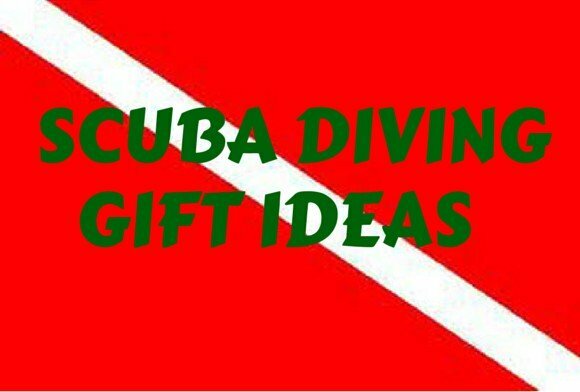 We even tried one day to go with a dive shop from Ambergris but noone was going out that day. 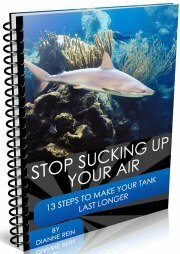 There is alot of variety in diving Belize. 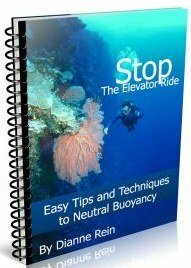 You can do canyons, tunnels, wrecks, blue hole, etc. Since it is such a popular diving destination, there are several dive operators to choose from on Caye Caulker. We dove with Big Fish and were, for the most part, happy with them (I'll go into more detail in my scuba diving trip report). We saw a large variety of marine life on our dives. The most common sightings were of lobster, eagle rays, sharks, crabs, red-banded coral shrimp, grouper,eels, etc. There is also some amazing coral to be seen. 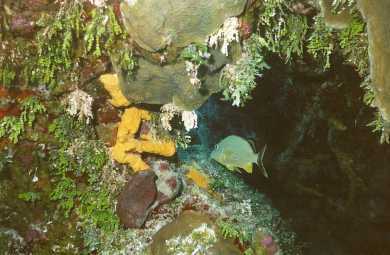 Gigantic barrel sponges, black coral, staghorn coral and brain coral to name a few. The appeal of Caye Caulker is its' slow, laid back atmosphere. The main activity (besides scuba diving, of course) is going up the cut to watch the sunset. There is a bar right there so it's the main happy hour spot for sunset. Our schedule was usually dive, go for a swim (sounds redundant, doesn't it? ), clean up, happy hour. Not too shabby. The cut is where most people usually go for a swim. There really is no beach to speak of, just a broken down seawall (like I said before, don't come here for the beaches). But the water is shallow, warm and a beautiful shade of blue. So if you like hanging out and don't need crazy nightlife or shopping, Caye Caulker could be a spot for your next scuba dive vacation. Have a great time on Caye Caulker!